I just had the opportunity to spend two weeks in Tanzania and Zanzibar. As some of you may know, Ellen and I typically take a vacation with each of our kids and their families each summer. Our family is all very close and everyone is local, but this gives us a chance to spend dedicated time with each of them. We planned the Africa trip with our youngest daughter, Jessie, who also tacked on a 10 day fitness/safari retreat she was leading in Uganda after our trip. 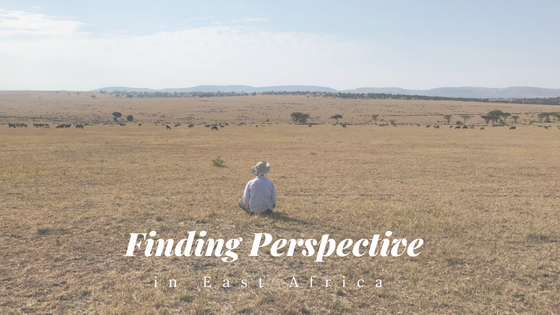 Here are some of the lessons I learned (or reinforced) in east Africa. Getting outside your comfort zone and normal routine periodically is important. This became clear to me when I went on one of Jessie’s retreats to two eco lodges in the Bocas Del Toro islands in Panama last fall. 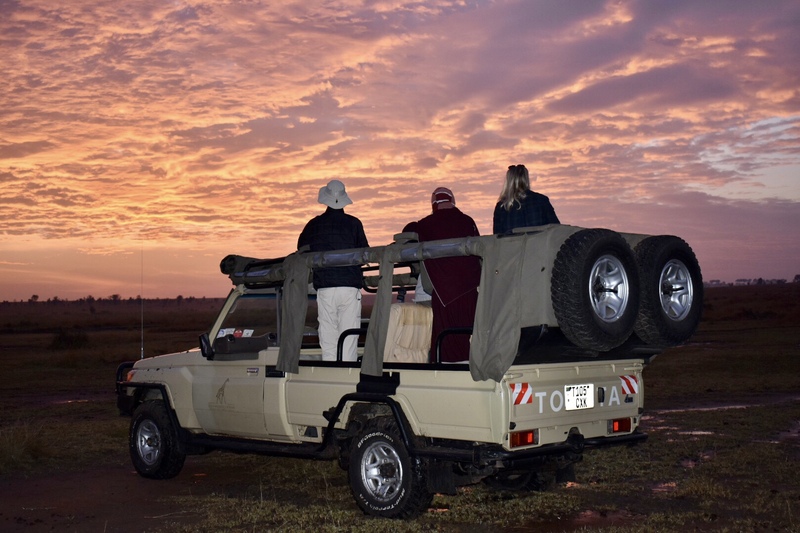 It was reinforced in Africa where we spent 6 days on safari, the highlight being 4 days at a mobile (tented) camp in the northern Serengeti close to the Mara River. We got lucky and arrived within days of the Great Migration arriving in the area. With 2 million wildebeests, zebras and plenty of predators following them, it is truly one of the natural wonders of the world. With over 25,000 sq. km of protected areas, it is an incredible part of the world and hard to fully describe to anyone who has not seen it. Spending 8-10 hours each day on game drives across an incredible landscape, getting to know our guides and the people in camp, and being completely disconnected from our “normal” world, got us into a rhythm with nature that we can rarely experience with our busy lives. Stepping away to gain perspective can be a valuable process. You do not need a lot to be happy in life...we all need to live more simply. On the island of Zanzibar, we visited the local village, Bwejuu, with one of the older residents and we had a chance to talk to a lot of people about their lives. We also visited the two schools and spent time in classrooms and with students, teachers, and administrators. We talked to teenagers who were hanging out before they went out to their fishing jobs. While they have very few material possessions and (as many generations before them) they lived in conditions most of us would not find acceptable, they all seemed very happy. You could feel how important family, friends and community is to them. Even though the island is 95% Muslim, there were many Christians among them, and they could not grasp anything other than everybody getting along. We can all learn a lesson about focusing on what is important from these people as we think of our lives and our personal financial goals. Being authentic is one of the most important traits we can have. We got to spend a good bit of time with Alex Walker, the man who founded the camp where we stayed in the Serengeti. He has spent his life in the East African bush and is passionate about helping clients see it in an authentic way. He sets up mobile camps that move twice a year and leave no trace when they are gone. He hires local guides and trackers, many of them Maasai people who have lived on this land for generations. These are some of the key ways he makes sure his guests focus on the essence of this experience, the land, the animals and the people. We all need to be authentic in who we are and what we do and we certainly strive for that in our work with clients. Sometimes the best experiences are the hardest to reach. I am writing this as we get near the end of 31 hours of travel from our hotel in Zanzibar to our front door. Certainly not the best part of the trip! Our small bush plane flight to the Serengeti was supposed to be a 30 minute direct flight, but it stopped 4 times over 2+ hours before we were the last ones to get off at our camp. None of us felt too great after all the up and downs, but we realized it would be worth it in the end. 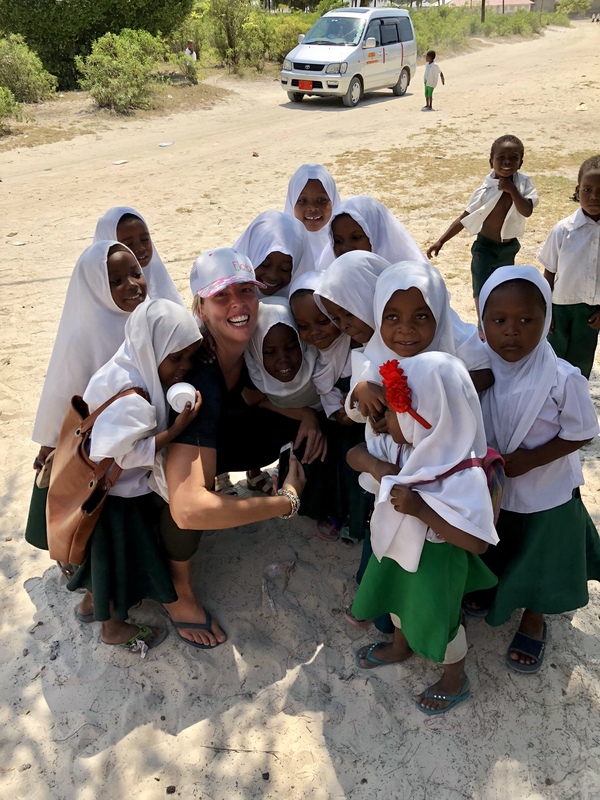 The airport in the Tanzania Capital of Dar Es Salaam was the most chaotic airport and customs process that I have ever seen, and we have been in a lot of small, third world airports! Sometimes you just have to work through the tough times and the discomfort to get to where you want to be. All three of us felt VERY lucky to have these experiences. We look forward to sharing it with friends, encouraging others to visit East Africa, and hopefully take our other children and grandchildren there one day. I always try to learn something from our travels that has broader implications. I am glad to have the opportunity to share this with you!